The countdown officially begins tomorrow for Marvel’s Captain America: Civil War and today we’ve got new hi-res images featuring Bucky Barnes and James ‘Rhodey’ Rhodes. Barnes is played by actor Sebastian Stan who reprises his role for the third time. 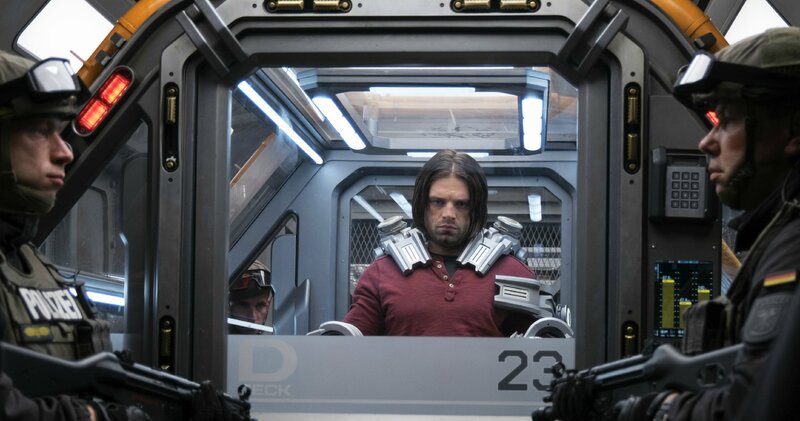 In this still image, we see Bucky seated and held down in a containment unit. This could be after he gets taken down by Black Panther, which we’ve already seen in the trailers. 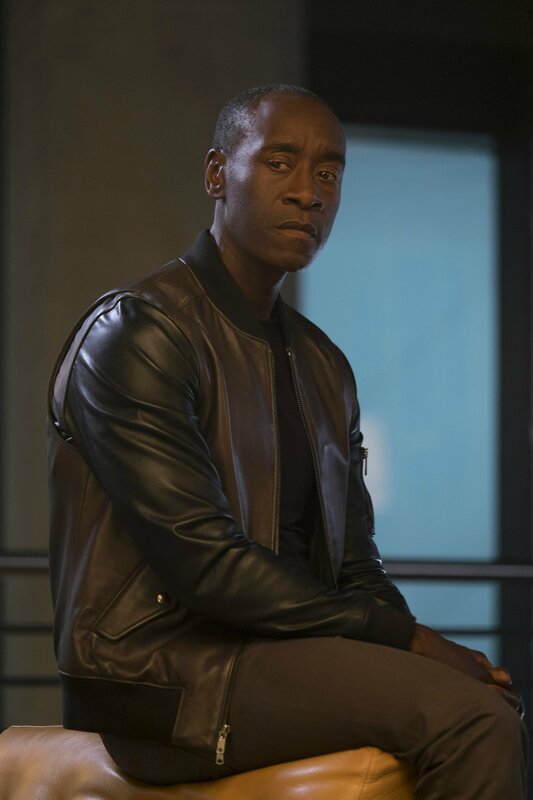 The second hi-res image to be featured is a forlorn Rhodey, played by Don Cheadle. This one is hard to guess. Does this come after he gets taken down by that laser? Or is this before Bucky tries to rip off the repulsor core in War Machine’s costume? Anthony & Joe Russo are directing with Kevin Feige producing. Louis D’Esposito, Alan Fine, Victoria Alonso, Patricia Whitcher, Nate Moore and Stan Lee are the executive producers. The screenplay is by Christopher Markus & Stephen McFeely. Get ready to pick a side and join the nonstop action playing out on two fronts when Marvel’s “Captain America: Civil War” opens in Philippine theaters on April 27, 2016.